Now through April 15 is the best time of year to set transplants of broccoli, cabbage and cauliflower in your vegetable garden. Cole crops grow well when the temperatures are still cool. Ample fertilizer and periodic rainfall or irrigation are needed to help them thrive. 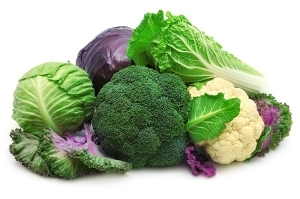 Cole crops, also known as cruciferous vegetables, get their name from the Latin, meaning cross-bearing. It comes from the shape of four petals of the flowers which resemble a cross. Cole crops are powerhouses when it comes to the vitamins and minerals they provide. They are high in vitamin A carotenoids, vitamin C, folic acid and fiber. Their vitamin K content and glucosinolates help reduce inflammation and cancer risks. In addition to broccoli, cabbage and cauliflower, other cole crops include Brussels sprouts, bok choy and collard greens. Broccoli varieties that perform well are: Green Duke, Emperor, Packman and Premium Crop. Space broccoli plants 12 to 18 inches apart in rows that are 36 inches wide. Cabbage varieties to look for are Bravo, Round Dutch, Early Jersey Wakefield, Red Express and Red Rookie. 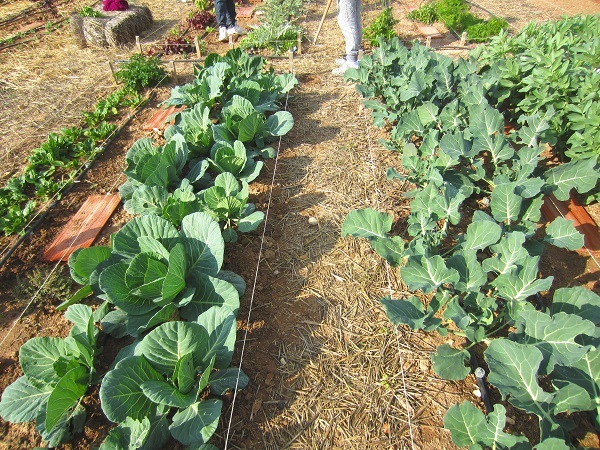 Plant cabbage in rows 24 to 36 inches apart with transplants set out at a 9- to 15- inch spacing. Cauliflower varieties include Early Snowball, Snow Crown and Super Snowball. Cauliflower plants need to be spaced 18 to 24 inches apart with rows 36 to 48 inches apart. Keeping the plants actively growing is critical so don’t let your garden dry out. With a little attention you will discover how simple it is to grow your own cole crops.